This year's list of Rising Star-eligible players is short but interesting and offers insight into the exclusivity of seeing action at a young age in the Turkish Airlines EuroLeague. Through 20 games, only 17 players eligible for the 2018-19 Turkish Airlines EuroLeague Rising Star award have appeared in a game. Of those 17 players, only five have played over 100 minutes. Following a season in which Luka Doncic was named not just the EuroLeague Rising Star, but also EuroLeague MVP and Final Four MVP, plus captured the EuroLeague trophy, the direction of the list of Rising Star-eligible players says a lot more about the state of the competition than the group of young players on it. The graph above displays how many Rising Star-eligible players averaged more than 15 minutes per game in each EuroLeague season. Though the first Rising Star was named after the 2004-05 season, records on eligible players have been backfilled to 2000-01. 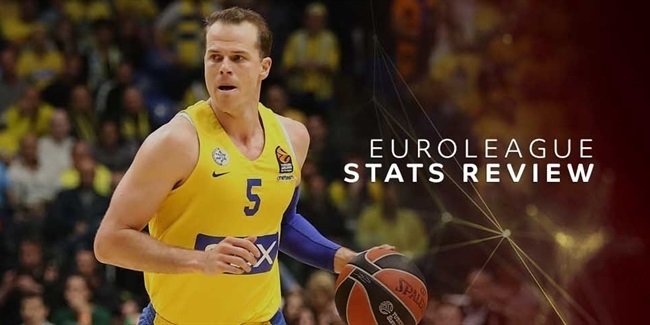 Clearly, the number of young players cracking EuroLeague rotations has declined considerably over time for a variety of reasons as the competition has evolved over the last two decades both on and off the court. Perhaps most importantly, the league's format and club standards have changed, creating an environment that features fewer teams and is more consistent and competitive now than it was even 10 years ago. Its rules, style of play, and expectations have undergone massive changes over that period as well. The maturation of the league has resulted in a quality of competition that has simply surpassed what most young players can offer. Offensive efficiency in the EuroLeague is as high as it has ever been and expectations for players seeing rotation minutes across the league are sky high. At this point, it might be more difficult for inexperienced players to garner significant minutes in the EuroLeague than it is in any major basketball competition in the world given the polish it demands. The state of the league puts into perspective not just how special a transcendent talent like Luka Doncic is, but how talented a young player must be to earn any meaningful minutes in the EuroLeague. The table above displays the usage, efficiency and scoring details of Rising Star-eligible players who have played more than 100 minutes this season. It is no secret that Bucudnost VOLI Podgorica has played its best basketball of the season recently, and the rise of 19-year-old center Goga Bitadze has played a major role in that. Only six rounds into his EuroLeague career, Bitadze has made an impact as a rim protector, rebounder and high-efficiency scorer in a role that belies his lack of high-level experience. 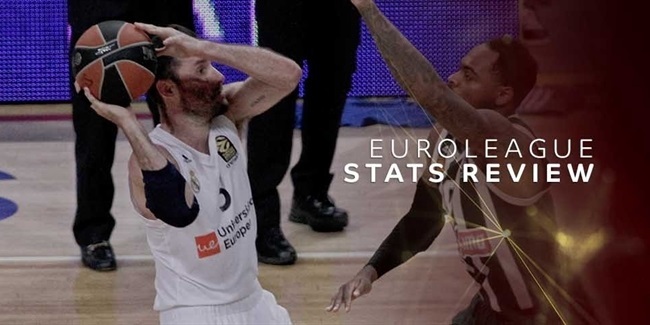 Jumping ahead of the pack to lead the EuroLeague in roll-man and put-back scoring, Bitadze has acclimated to the intense competition he's facing around the rim with shocking facility. Meanwhile, Bitadze's 22-year-old teammate Petar Popovic has had some of the best games of his professional career over the last few months, too. He has had a few strong performances scoring and passing out of the pick-and-roll. Yovel Zoosman, the 20-year-old swingman of Maccabi FOX Tel Aviv, has posted excellent shooting numbers in a small, but steady role this season. A crafty perimeter player with a reliable jump shot, Zoosman's 1.06 points per possession stands out, and it figures to improve as he becomes more comfortable with the speed of the game and his turnover rate settles in at a level that better reflects his feel for the game. Nonetheless, he's already a net positive on the offensive end for Maccabi. Laurynas Birutis of Zalgiris Kaunas and Georgios Papagiannis of Panathinaikos OPAP Athens, both 21-year-old centers, have provided their teams with size and finishing ability in limited minutes. Both players possess excellent size, standing over 2.13 meters. And like most young big me, they have had their playing time limited some nights by foul trouble. Considering that Bitadze emerged mid-season, it remains to be seen if any other young players will find their way into this group later this season. Regardless, it is worth noting which young players have earned minutes so far, because that is becoming an impressive accomplishment in and of itself.